Non-communicable diseases (NCDs) are responsible for 101,000 deaths, constituting 44 per cent of deaths in Ghana, a World Health Organisation (WHO) 2017 NCDs Progress Monitor has revealed. They are also the leading cause of deaths and disabilities responsible for 39.5 million deaths annually and account for nearly two-thirds of all global deaths. This was disclosed at the National High Level Meeting on NCDs by the Ghana Non-Communicable Disease Alliance in Accra. Beatrice Wiafe, the chairperson of the Ghana NCD Alliance, said recent data provided by the WHO implies that close to 50 per cent of all death are caused by NCDs. “Over the years, the NCDs have been pushed under the carpet for too long. As a developing country, we have been talking about the communicable diseases even though WHO in 2002 came out with research from International Agency for Research on Cancers (IARC) that cancers are killing more people than HIV AIDS, malaria and tuberculosis and malaria combined,” she bemoaned. Mrs. Wiafe added that doctors have to resort to palliative care of patients who seek healthcare when the disease has advanced due to lack of education and awareness creation. She said if people are educated on how to manage some of the diseases from the onset, they would be assured of living their normal lives after they have been diagnosed, treated and rehabilitated. 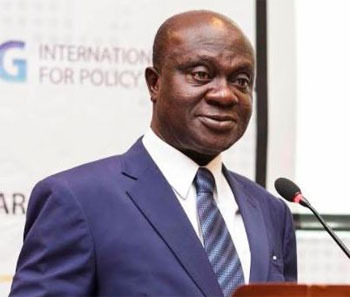 Prof. Gyan Baffour, Minister of Planning, who doubles as the chairperson of the Inter-Ministerial Committee of the Implementation of the SDGs in Ghana, indicated that chronic NCDs such as hypertension, diabetes and cancers are not only public health problems but also developmental problems that have major social and financial implications on the affected individuals, as well as the society and the government. “The rising prevalence of NCDs in the country in the last few decades, coupled with rapid urbanisation of the country to changing vitals, including poor diet and the relatively weak health systems, makes confronting NCDs a multifaceted challenge,” he highlighted. He indicated that the current evidence of the social knowledge of the common NCDs within the socio-cultural context has shaped the health-seeking behaviour of citizens and the socio-economic impact and the implications on urban poverty are still areas that need to be explored well. He assured stakeholders of the government’s commitments to the outcomes of the government to critically review the outcomes and documents of the meeting to inform policy direction of the country.